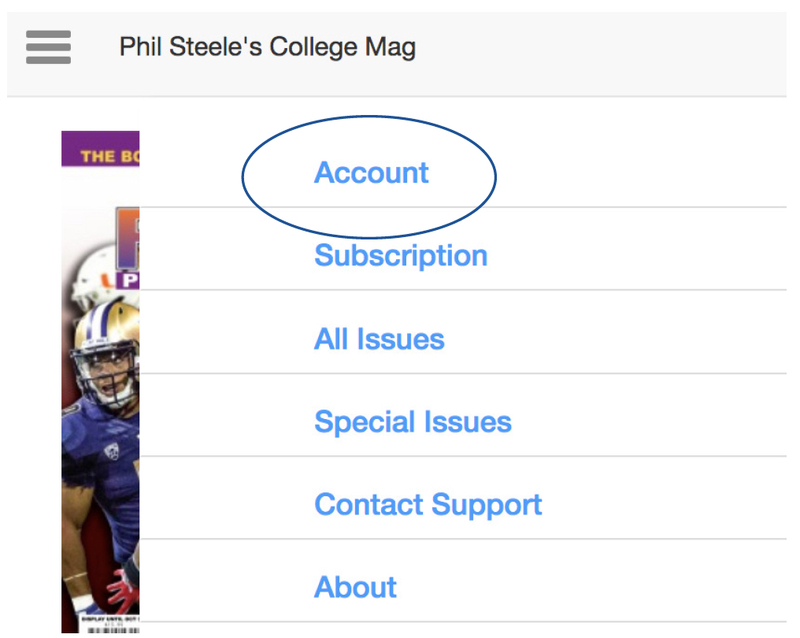 Here is the New Phil Steele Webstand Digital College Magazine. This is a phone, computer and tablet browser version. The Google Play, Apple App Store and Amazon Kindle version will be out shortly. Each version is a separate Subscription. Now since they are completely brand new make sure you register before you buy your favorite edition. To register please follow these easy instructions after you click the Link for the Magazine below. 1. To register a new account please click button on the upper left of your screen. 2. Click on Account to open a sub menu. 3. Click register. Then fill out all your information. 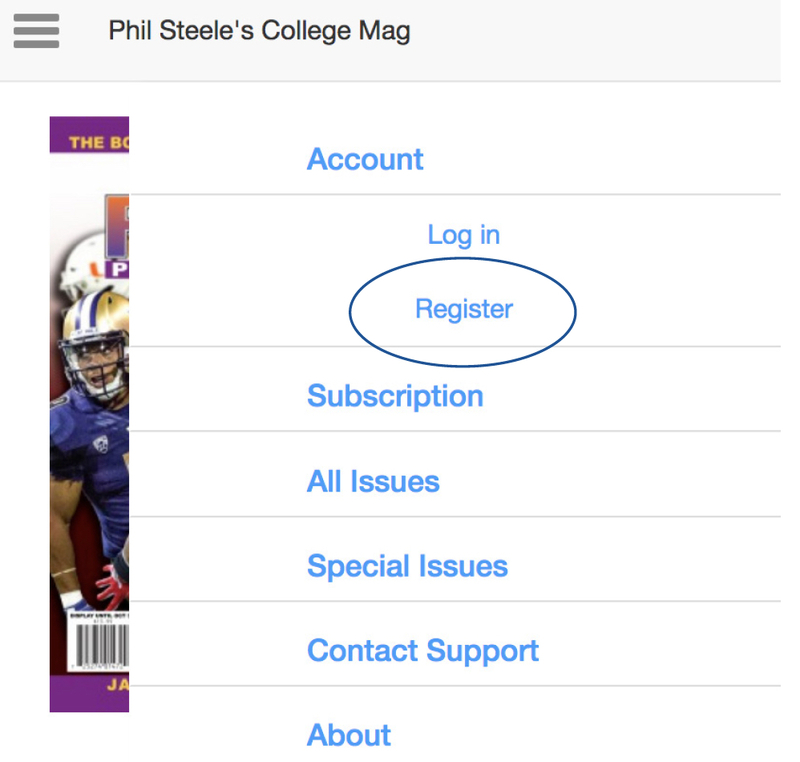 Once you register you account you can then go ahead and purchase any version of the magazine. After you add in your payment type and submit you might need to refresh the page and the price for the magazine will turn into a button that says VIEW. Here is the link for the College Magazine below. The Pro and FCS magazines will be out at a later date. Once you have paid for the Magazine it could take a minute to load be patient. Any questions please feel free to email Todd at todd@philsteele.com. He will get back to as quick as possible to answer any of your questions. Or email Pixel Mags support at support@pixelmags.com.